There are a number of unique conditions that can lead to property damage in Chagrin Falls, OH. From severe weather events throughout the year to fires and more, your building and belongings are never 100% secure. When disaster does strike, our technicians at RestorationMaster will respond rapidly to limit the extent of the damage and return your property to its original condition. For property owners in Chagrin Falls, OH, fires are one of the most devastating disasters that can occur. This is because of the extreme level of destruction they can cause initially, as well as the damage the resulting smoke and soot can cause over time. Our RestorationMaster technicians understand the nature of these elements and utilize the equipment and procedures necessary to eliminate them. 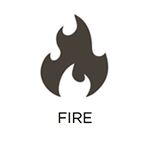 We are proud to restore the buildings and belongings of property owners through our fire damage restoration services. At RestorationMaster, we offer 24/7 water damage restoration services to property owners in Chagrin Falls, OH. Excess water and moisture are big risks for residents of Ohio because of the full seasons they are exposed to. Frozen and burst pipes are common in the winter months, while severe storms are expected later in the year. 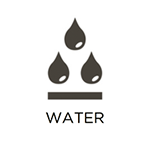 No matter the cause of the water, our technicians will eliminate it, repair its source, and restore any affected areas or belongings. Throughout the year, residential and commercial property owners in Chagrin Falls, OH, are exposed to weather conditions that can significantly damage their buildings and belongings. Whether damage occurs due to a blizzard, hail, or a severe storm, our RestorationMaster technicians will respond rapidly to cover any holes in your building and stabilize your property. This ensures that any additional damage will be limited to the fullest extent possible. Our storm damage restoration services are specifically designed to secure your property until permanent restoration solutions can be developed. 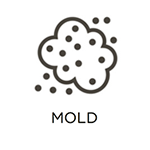 Mold growth is known to be a nuisance in Chagrin Falls, OH, but it can also present a number of risks to your health and property. It can damage building materials and personal belongings, and even affect the health of those exposed. At RestorationMaster, we provide efficient mold remediation services to address these issues. We locate the sources of mold on your property, utilize our proven mold removal equipment and procedures, and restore affected areas and belongings. It is important to note that when severe accidents or crimes take place on your property, law enforcement personnel and EMTs will not remove any dangerous biohazard materials left behind (such as bodily tissues, blood, etc.). For this reason, it is important that you contact trauma and crime scene cleaning service providers directly following the incident. At RestorationMaster, we respond rapidly to provide these services, and will fully restore your property in Chagrin Falls, OH. 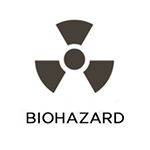 If handled improperly, biohazard materials (such as blood, chemicals, and sewage) can spread diseases and cause infections. For this reason, strict government regulations are in place that dictate proper removal and disposal procedures. At RestorationMaster, we abide by these specifications, and will safely sanitize and restore your property through our biohazard cleaning services. Our technicians are available 24/7, respond at a moment’s notice, and operate in the Chagrin Falls, OH, area. At RestorationMaster, we are proud to offer commercial restoration services to property owners in Chagrin Falls, OH. Through these services, we will help your organization get back on its feet effectively and efficiently. We address all types of property damage and can assist you on any scale. The primary scenarios we deal with involve fire, excess water, and mold growth. As a leading disaster restoration and sanitization services provider, we are uniquely capable of returning your property to its original condition.